To ensure your leadership success there are a number of foundation motivation theories that you should have a reasonable grasp of. Herzberg’s theory is one of these theories, as it will provide you with a framework that will help you to identify barriers to employee motivation and target your improvement efforts where they will add the most value. Herzberg’s work in the late 1950’s focused on answering the question “What do people want from their jobs?” From his research, where he ask hundreds of workers what they wanted from their jobs, he concluded that people want jobs that offer recognition, achievement and responsibility with opportunities for growth. His research is often credited with providing the foundation for the development of job enrichment and the movement for improving the quality of work life. His theory is known by two names “the two factor theory” and the “motivation/hygiene theory”. His theory identified that the organisational factors that affect employee dissatisfaction are different to the organisation factors that influence employee satisfaction or motivation. (Hence the name – “two factor theory”). Expressed another way, through his research he was able to demonstrate that employee satisfaction (Motivation) and dissatisfaction at work are influenced by different organisational factors, and are not simply opposing employee reactions to the same organisational factors. Hygiene factors tend to be concerned with the things which define the job context or the environment that the job is performed within. How they work: The factors that affect employee dissatisfaction, if addressed well by management, are likely to appease your employees but are unlikely to motivate them. However if not addressed well will cause your employees to become dissatisfied. These factors are referred to as hygiene factors. Motivation factors tend to be concerned with the nature of the work itself including the opportunities it presents for assuming responsibility, being challenged and for achievement. How they work: If addressed well by management, motivation factors will lead to higher motivation and if not addressed well will leave your employee feeling neutral, but not dissatisfied. 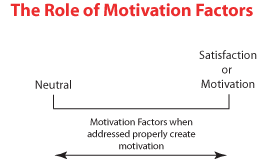 These factors are referred to as motivation factors. According to Herzberg’s theory, to motivate your employees you need to focus on providing your employees with more variety of tasks. In addition he argued that providing motivation is a continuous management process. Based on Herzberg’s theory it is important for managers to realise that by removing a source of dissatisfaction from the business you will not necessarily increase motivation in your workforce. And, by doing something to increase motivation you will not necessarily reduce dissatisfaction in your business. Skilled leaders use this motivation theory to help identify and prioritises culture improvement programs. E.g. If your workforce is highly dissatisfied then as a manager you can focus on hygiene factors to improve the organisational climate, alternatively if your people are not, in general, dissatisfied then a focus on motivation factors would be more appropriate. The nature of the work itself, the opportunities it presents for assuming responsibility and for achievement. Including looking at redesigning and enriching their jobs. Company policies, procedures, supervision, and working conditions. Including looking at all aspects of work life balance and flexible working conditions. The job should have sufficient challenge to utilize the full ability of the employee. Employees who demonstrate increasing levels of ability should be given increasing levels of responsibility. If a job cannot be designed to use an employee's full abilities, then the firm should consider automating the task or replacing the employee with one who has a lower level of skill. If a person cannot be fully utilized, then there will be a motivation problem. Management must pay attention to hygiene factors to avoid dissatisfying your employees, and must also provide factors intrinsic to the work itself to ensure employees will be motivated in their jobs. Hygiene factors that do not provide any positive satisfaction, though employee dissatisfaction does results when these factors are not adequately addressed. 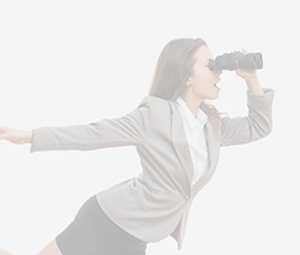 Hygiene factors include aspects such as company policies, supervisory practices, or wages/salary. In the last 50 or so years there has only been some minor criticism of Herzberg’s theory. As a manager you can use this theory to improve your organisational climate, by developing policies that have enough flexibility to suit the needs of your people and those of your business, and providing your people with recognition, challenge and achievement within their role.